The Industrial Development Corporation (IDC) plans to invest more than R3 billion in three biofuel projects. Briefing the National Assembly’s Economic Development Portfolio Committee, Shakeel Meer, the IDC’s divisional executive of industrial sectors, said the corporation expects to disburse R100 billion by 2015, focusing on areas such as biofuel and biomass production, wind and solar power, energy management and recycling. One of the biofuel projects will be located near Cradock in the Eastern Cape and will use sugar beet to produce about 90 million litres of biofuel annually, according to Rian Coetzee, head of IDC’s food, beverage and agro-industries business unit. Construction of the facility should start early next year, he added. The second project will be located near Hoedspruit in Mpumalanga and will aim to make 100 million litres of sugar-ethanol from sugarcane. 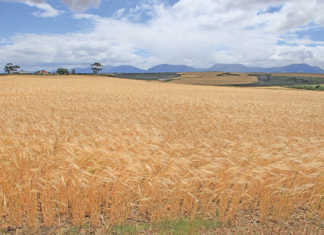 The IDC is also evaluating the viability of producing up to 150 million litres of biofuel from sugarcane at a facility in KwaZulu-Natal.The corporation plans to invest roughly R1,1 billion in each of these projects, which will produce nearly enough biofuel to achieve the government’s goal of a 2% penetration of biofuels in the national liquid fuel supply by 2012, said Coetzee. The IDC also aims to invest about R500 million a year in the agricultural and agro-processing sectors over the next few years. “We have some major projects in the pipeline, but negotiations for them are currently at a sensitive stage and I can’t give any detailed information about them,” said Coetzee. But, he did say that the IDC has decided to focus on five subsectors in agriculture – grain and oil seed processing projects, which will hopefully resolve the current oversupply of maize and replace a portion of oilcake imports with locally produced oilcake; horticultural crops; rice production; and high value, long-term agricultural crop production, such as citrus production in the Northern Cape.